As India prepares to head to the polls in the next few months, much of the attention has been focused on the rise of regional parties and their potential impact on the national results. 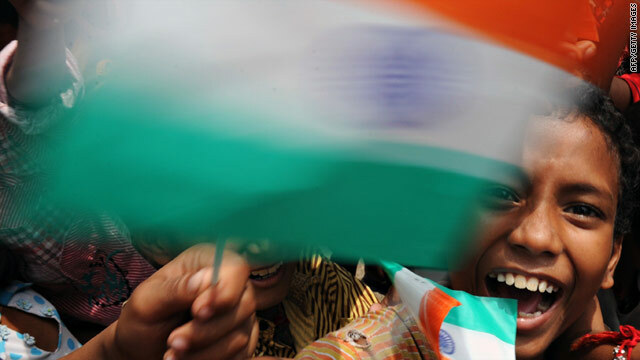 GPS intern Aakanksha Tangri speaks with Milan Vaishnav, an associate in the South Asia Program at the Carnegie Endowment, about the upcoming election and what he calls the “myths” about the rise of regional parties in the world’s biggest democracy. You've spoken about the emergence of regional power centers in Indian politics. Could you elaborate on this and how you think these regional parties will impact the upcoming general elections? Since 1989, no single party has been in a position to form a national government in Delhi without the support of key regional parties. The fact that this remains the case in 2014 is a true testament to their influence. Most so-called regional parties are actually single-state parties. But in India’s decentralized polity, holding just a few seats in parliament makes you an important player – like the All India Anna Dravida Munnetra Kazhagam of Tamil Nadu, the Trinamool Congress of West Bengal, and the Samajwadi Party of Uttar Pradesh. These parties will again be crucial in government formation, as neither of the two major national parties—the Indian National Congress or Bharatiya Janata Party (BJP)—will win 272 seats (an outright majority) on their own. In the near term, both the Congress and BJP are looking to form pre-poll alliances with key regional actors to maximize their seat share in the elections. Once the results are declared, a second round of jockeying will take place when the party with the single largest share of seats tries to form a government. To do so, they’ll need to enter into a set of post-poll alliances with regional actors. And in order to join the government, regional parties will demand representation in the Cabinet or in key decision-making fora. What do you make of the Aam Aadmi Party’s victory in Delhi and the resignation of AAP’s Arvind Kejriwal just 49 days into his tenure? How do you see the AAP faring nationally? The Aam Aadmi Party’s (AAP) surprise victory in the December 2013 state elections wasn’t unprecedented, but it was historic. There are other instances of upstart parties storming the election scene, such as the meteoric rise of the Telugu Desam Party (TDP) in Andhra Pradesh in 1983, which won state elections in less than a year after its formation. What is unique about AAP is their anti-corruption platform and their method of raising public awareness through social media as well as their Obama-esque method of collecting election funds (i.e. small contributions from a large pool of donors listed on their website). AAP had one of the most eventful inaugural months of any state government in recent history, but their government abruptly ended with Chief Minister Arvind Kejriwal’s resignation on February 14, just a month and a half after taking the oath of office. Their performance during that brief period was mixed. On the one hand, AAP’s economic policies were highly regressive. Two of the first actions of the AAP government were to slash energy prices by half and enact a major new water subsidy for all Delhi households. On the other hand, the party took a number of symbolic steps to bring government closer to the people and commenced a number of anti-corruption initiatives. It was the party’s anti-corruption zeal that ultimately led to their downfall; when opposition parties in Delhi balked at AAP’s insistence to pass a wide-ranging Lokpal (anti-corruption ombudsman) bill, AAP leader Kejriwal pulled the plug. Unencumbered with day-to-day governance, AAP has set its sights on contesting national parliamentary elections in April. At this point, AAP’s impact looks like it will be restricted largely to the region in and around Delhi. One respected survey from the Centre for the Study of Developing Societies predicted that the AAP will win between 6 and 12 parliamentary seats in Delhi and the neighboring states of Uttar Pradesh, Haryana, and Punjab. But a lot can happen between now and Election Day; there’s an opening for them, especially in urban areas, to win a larger clutch of seats but the clock is against them. They are, however, already having an impact in the realm of ideas, both good (in terms of forcing other parties to speak up about corruption) and bad (in terms of touting populist economic policies). You’ve also talked about four myths about the “rise” of regional parties in India. Can you break those down for our readers? There’s a general sense, especially outside of India but inside as well, that regional parties in India are steadily rising in stature with each passing year. This sort of linear growth, taken to its logical end, spells unending fragmentation and disorder in India’s political system. There’s no question that regional parties have risen in prominence, especially in the last two decades, and that they remain powerful forces in Indian electoral politics. However, there’s nothing automatic about their continued rise. Indeed, there are signs that regional parties themselves are enduring growing pains. Over time, four myths about the rise of regional parties have emerged, each of which overstates their actual importance. First, many people hold the view that regional parties, by virtue of their strength, undermine national parties. In fact, what we have seen in more recent years is a relatively stable holding pattern when it comes to the popularity of regional versus national parties. While it’s true that the vote share of regional parties is on the upswing, their seat share actually dropped in 2009. This is because regional parties not only can take votes away from the national players, but also from each other. Second, the conventional wisdom holds that India’s states are increasingly run by regional parties. In 1997, two-thirds of major states were governed by regional parties and one-third by the Congress and BJP. Today, those positions are completely reversed. While regional parties control several large, pivotal states, a majority of India’s population actually lives in states run by the two main national parties. Third, some analysts have argued regional parties are transforming India’s governance by appealing to the aspirations of the youth and speaking the language of economic development and jobs. But while there are several instances of regional parties innovating when it comes to governance, this isn’t unique to regional parties per se. For example, if you looked at a list of the most electorally successful chief ministers in India today, there are several national party leaders who have practiced popular economics and good politics. This list includes, of course, the BJP’s prime ministerial candidate and chief minister of Gujarat, Narendra Modi. Finally, there’s tremendous concern in foreign capitals that the influence of regional parties on India’s foreign policy is growing, potentially complicating domestic decision-making as well as bilateral relations. Again, there’s no doubt regional parties are exerting influence on foreign policy, especially with India’s neighbors (such as Bangladesh, Pakistan and Sri Lanka) but this has been a recurring theme for at least two decades. Part of the reason regional parties appear to be holding more sway in recent years is perhaps more a function of inept coalition management by the incumbent government than a qualitative shift in recent years. For instance, Mamata Banerjee, the mercurial chief minister of West Bengal and head of the Trinamool Congress Party, personally scrapped a water-sharing agreement that New Delhi had painstakingly negotiated with Bangladesh. Political parties, especially those from border states, have often made their voices heard on bilateral relations with their neighbors. So when these voices aren’t politically managed by New Delhi they can have outsize impacts. India is a federation of many regional states, like the US, Austria, Switzerland and Germany. In these countries regional states inform their central governments of foreign policies they conduct with foreign counterparts. Major foreign deals can only be struck with the blessing of the central government. It's amazing how regional parties in India could bypass Delhi. No. India is more like USSR. The 'central' government has the most powers. Pity! You don't know about India. If one strong regional party withdraws their support, central Govt. will fall. That is the advantage and disadvantage of Indian democracy. One minor party would get so strong to influence central Govt. decisions, or capable of stressing their decisions, overthrowing majority opinion. But, the same power can be used to upheld the rights of minorities if in the right hands. HIPÓTESIS DE TRABAJO DEFORMACIONES INVOLUTIVAS DEL LENGUAJE VENEZOLANO POR EXISTENCIA DE CÓDIGO ALFANUMÉRICOS.